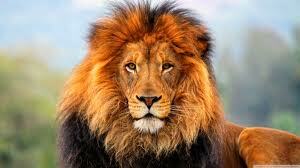 Lions are one of my favourite animals because the males look cool with their mane. Lions are the only big cat to live in a group with others. A group of lions is called a pride. Lions mostly catch and eat wildebeest, zebras, buffalo and warthogs. Some prides have been known to catch giraffes and on very rare occasions even elephants. They mainly hunt at night. Although the males look scarier with their big manes, it’s the females (called lionesses) who do most of the hunting. They are very well armed, with teeth up to 10 cm long and claws up to 4 cm long. Lions are considered vulnerable in the wild, mostly due to habitat loss and hunting. Are there any interesting facts that you would like to share about lions? I love lions I can’t resist them can you.